Welcome Back! 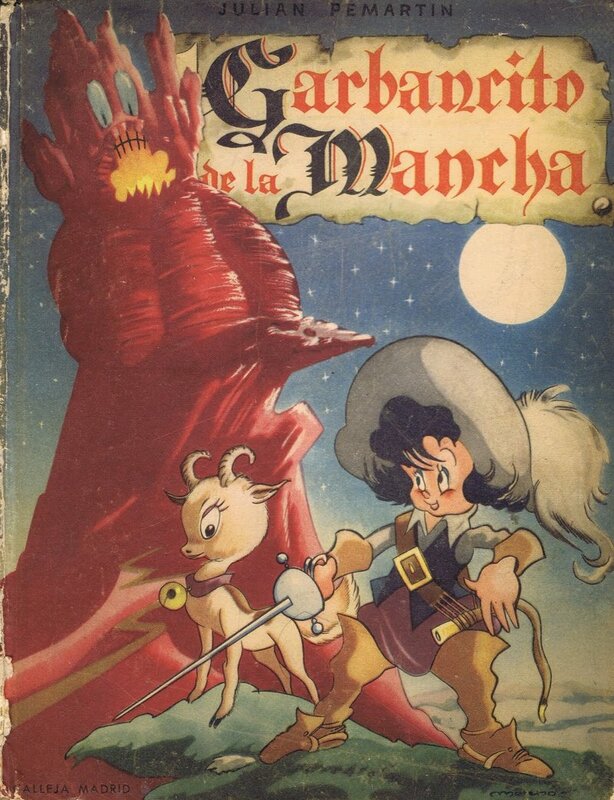 Garbancito de la Mancha is the first Spanish animated film. It was released on November 23, 1945 in Madrid and on May 13, 1946 in Valencia. (Both cities are in Spain.) 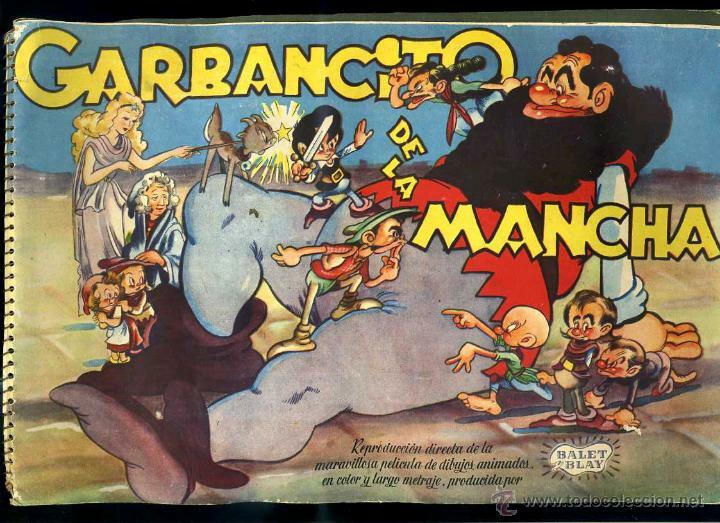 Garbancito was directed by Jose Maria Blay and Arturo Moreno. Arturo also directed another animated movie, Alegres vacaciones in 1948. 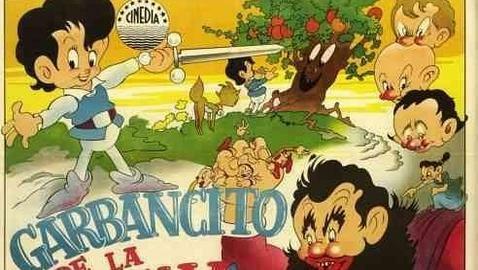 Garbancito de La Mancha is the first film produced in Spain, the first cel-animated feature film produced in Europe, and the first animated feature in color outside of the United States. Garbancito was also produced by Jose. It was written by E. Piera, M. Amat, and Julian Pemartin. The music is by Joaquin Bisbe and Jacinto Guerrero. Garbancito was produced by Balet y Blay. Balet y Blay has produced 4 movies: Los Suenos de Tay-Pi (1952), A punta de latigo (1949), Alegres Vacaciones (1948), and The Enchanted Sword (1945) aka Garbancito de la Mancha. The music is pretty good. It doesn’t really have any point in the movie, but it is nice to listen to. The animation is pretty good for the most part. The beginning of the movie makes sense. It goes together until the middle of the movie. The voice actors are really good though. Their voices don’t match up with the animation when they speak or sin. Some of the character designs look really bad. Most of the characters have balloon-sized hands. The story isn’t very good. My favorite character is the goat. It’s cute and charming. It’s a loyal friend who protects Garbancito and does whatever he asks for. My favorite song is the one that the trees are singing. I have no idea what they are singing, but it’s really pretty. It reminds me of something that would come from Disney especially in their Disney shorts. Also, I don’t know any of the names to the songs. I guess my favorite scene is when the witch dies. I’m not exactly sure why she was trying to send the boulder over, but the way she died was very ironic. She basically died, because of her own doing. Next, up would’ve been Handling Ships. It was released in 1945 from directors Alan Crick and John Halas. It was an instructional film, and the first British animated movie. It was created at the request of the British Admiralty, as training aid for navigators joining the Royal Navy. It was never released formally to cinemas. I can’t find this movie anywhere, so I won’t be doing it. The next movie though is The Lost Letter. It was released in 1945 by the Soviet Union. Soyuzmultfilm is a famous Soviet Union studio that released this film. The Lost Letter is the first traditional-animated film for USSR and soyuzmultifilm studio. Wow, you went really obscure there…I think I didn’t do it because of the length or because I couldn’t find it in a language I can actual understand. I just can’t judge it with the little I have. Yes I know lol It was very difficult to find this movie and it was only in Spanish lol It actually wasn’t that bad though. It had a few problems, but nothing that bad lol.